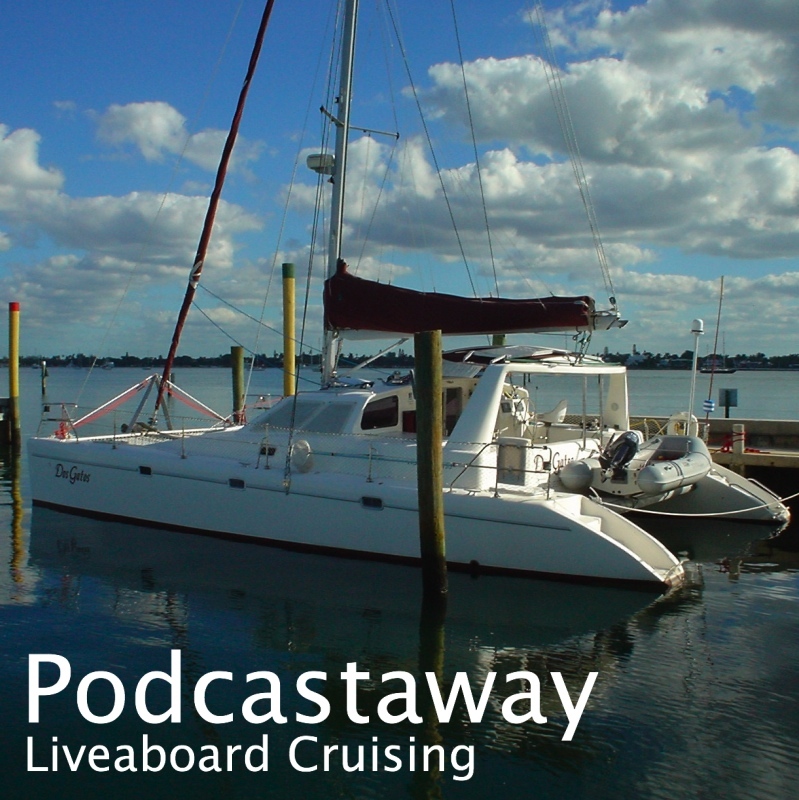 I have just posted PodCastaway #30 which was recorded on passage from Port Vila to Bundaberg. We have arrived in Bundaberg after a 4 day passage from Chesterfield Reef. We had little wind and motored for maybe 75% of the trip. In fact, we had an adverse current on several occasions which made us worry a bit about fuel. Now we're back in Bundaberg; on a mooring at Midtown Marina just like last cyclone season. We'll be here for a while. We've been at Chesterfield Reef for three days. We're anchored at Loop Island at the southern point of the atoll. This sandy island is similar to Huon Island and is also full of birds. Here though, in addition to the Masked and Brown Boobies, there are Red-footed Boobies that nest in the scrubby trees. There are also a great many sooty terns. There are a few turtles - shown by sightings in the lagoon and tracks in the sand. They may be fewer simply because they collect at full moon as it was when we arrived at Huon. Today we finally set off for Bundaberg. We should get in Thursday or Friday.